SPEC MIX® Masonry Cement & Sand mortar is a dry preblended mortar mix containing masonry cement and dried masonry sand formulated for superior bond, water retention and board life. SPEC MIX Masonry Cement & Sand mortar is available in color and is engineered for the installation of CMU, brick, and stone unit applications where high mortar workability and board life is required for good bond. It comes in Types M, S and N, and each designation meets ASTM C 270 and ASTM C 1714 requirements. In addition to custom mix designs that are available for specific applications or properties, the standard Masonry Cement & Sand mortar is designed to be compatible with the characteristics of the specified masonry unit. It is acceptable for all types of masonry construction, below or above grade when manufactured to the appropriate specification. Product submittal information available upon request. 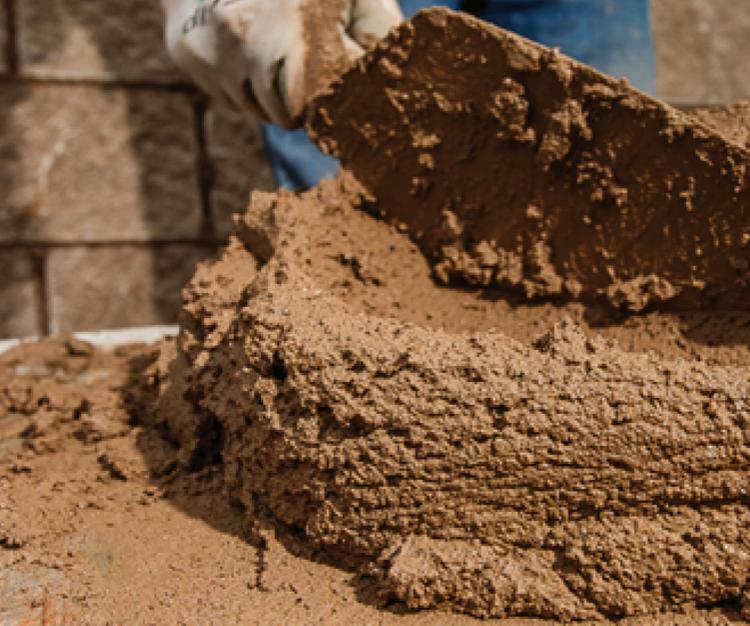 SPEC MIX Masonry Cement & Sand mortar is produced under strict manufacturing standards, and complete quality control measures are implemented with each batch. A digital printout displaying the proper proportions per batch may be kept as a permanent record. Each SPEC MIX manufacturer certifies that SPEC MIX masonry products are designed to meet the project specifications and applicable ASTM and ACI standards.